Greenland is an autonomous country within the Kingdom of Denmark, located between the Arctic and Atlantic Oceans, east of the Canadian Arctic Archipelago. Though physiographically a part of the continent of North America, Greenland has been politically and culturally associated with Europe (specifically Norway and later Denmark) for more than a millennium. In 2008, the people of Greenland passed a referendum supporting greater autonomy; 75% of votes cast were in favour. 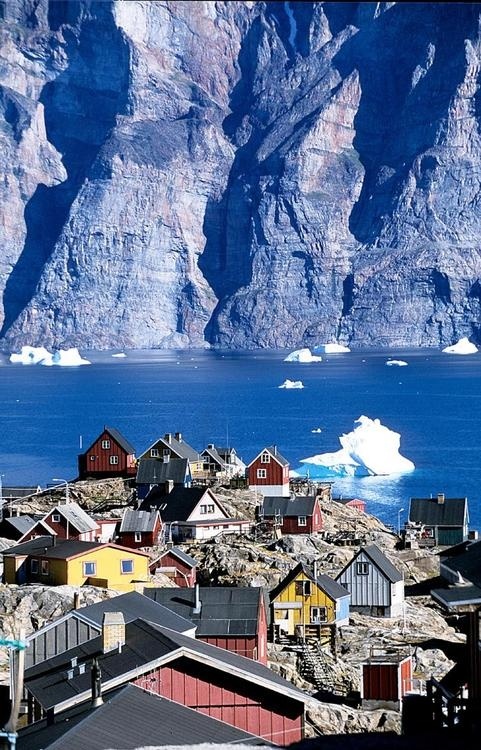 Greenland is, in terms of area, the world's largest island, over 3/4 of which is covered by the only contemporary ice sheet outside of Antarctica. With a population of 56,749 (2012 estimate), it is the least densely populated country in the world. Greenland has been inhabited off and on for at least the last 4,500 to 5,000 years by Arctic peoples whose forebears migrated there from Canada. Norsemen settled on the uninhabited southern part of Greenland beginning in the 10th century. Inuit peoples arrived in the 13th century. The Norse colonies disappeared in the late 15th century. In the early 18th century, Scandinavia and Greenland came back into contact with each other, and Denmark established sovereignty over the island.